Good afternoon, we are looking forward to creating lots more beautiful weddings this year and it's always lovely to develop such a wonderful relationship with our brides and grooms. We were thrilled to receive images from the beautiful Jennifer who married last September at the Old Hall Hotel in Buxton, we really enjoyed working with her gorgeous ideas alongside her Mum. We created floral designs using vintage pink, ivory and lilac Roses, Hydrangeas and sage green foliage to compliment the stunning bridesmaid dresses. 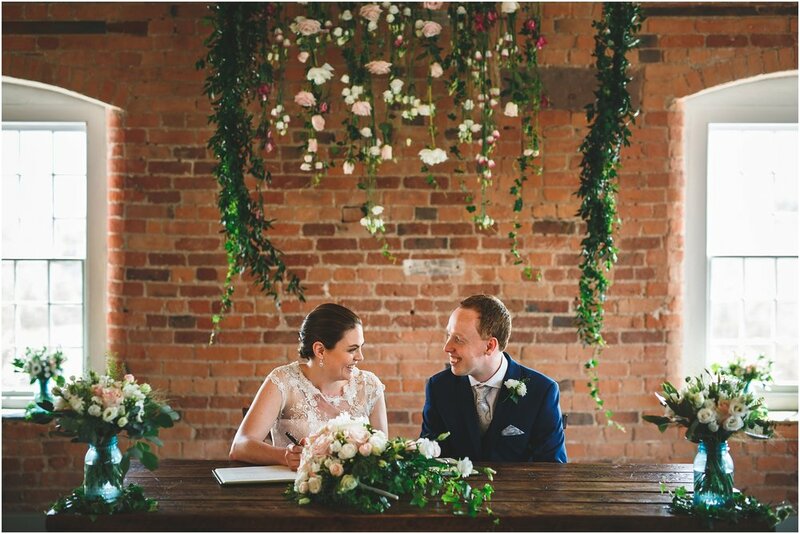 We were blown away by the flowers at the church and the venue, and people are still talking about them today saying how incredibly beautiful they looked and asking who did them for us, even the owner and the staff at The Old Hall Hotel in Buxton said that they had never seen the Restaurant look so beautiful, and the owner had her own wedding there! As well as the fact that they have weddings all week long. Tineke were just incredible from start to finish, so helpful and informative, even down to sending me images of flowers or foliage types if I had forgotten what they looked like or changed my mind! Our flowers couldn’t have been any more perfect. Would absolutely recommend!